Embarking on a chosen career comes with many doubts and concerns. There are many people that are now deciding to go down the self employed route and set up their own businesses. But what if you know that you want to work in real estate, and you want to start your own business rather than join a company, but you have no experience in either field. Where do you begin? Here, that’s where! It depends on where you are hoping to set up your real estate business. Depending on the state you are in, there are different exams and regulations for being a practicing real estate agent. The great thing about getting set up as a real estate can take a short amount of time if you are prepared to put in the hours. The first step is to take pre-licensing courses, but depending on the state you’re in, the requirements vary. Georgia real estate license online courses can give you the knowledge needed to start that career. As mentioned, each state can have different requirements, so make sure you find the right courses. If you are in California, for example, you would need three courses, which are of a level of a college course. But other states would require less, such as a set number of education hours. And once you have passed, you may need to take an extra course after being hired by an agency. Before you take the licensing exam, you first have to choose a real estate brokerage, and this is where you would work from. This is an essential step to working as a bona fide real estate agent, and it can take at least three years to get to being a real estate. But this is a key way to working up to acquiring the essential knowledge of what a real estate agent does. You need to contact a brokerage before graduating from your training course. When deciding on a broker, you need to establish if they are reputable, are of a good size for you to get as much varied and detailed experience as you can, and if they offer additional training. Depending on what you feel your needs are and how you would like to progress, you may wish to ask specific interview questions about if they require additional coursework for you to complete? What is the length of time, on average, to earn a commission check? What is their style for lead generation? If they have much experience, or how long they have been operating for? Or, is there one person that I can work with for most of the time? The answers you get will help you to understand if you are a good fit for them. And not only this, but you can do your own research by looking online, or by asking anyone who has had experiences with them, including your course instructor. But you need to decide on your learning style if you are a good fit for your chosen brokerage. If you prefer to learn on the job over lots of additional work to do outside of your working hours, then you need to find the right brokerage to cater for your needs. The licensing exam that you need to take is complex, and will test your skill set to the limit, so make sure that you are focused and dedicated and know your 1031 exchange from your Structured Sale Annuity! It is also recommended that you have as much time, effort and money invested as you possibly can. The cost alone of having the courses, taking the exam and obtaining the license can be at least $200, but it does depend on what state you are in. 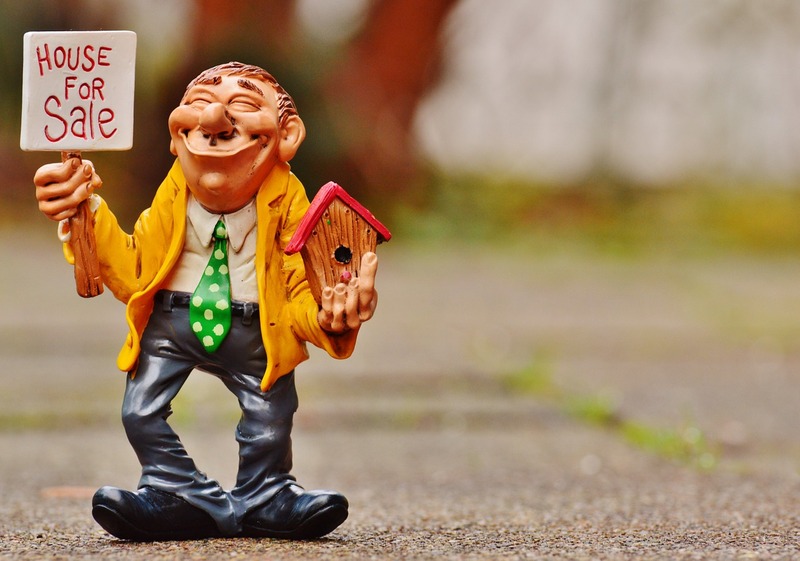 Once you have got your license, you are a bona fide real estate agent, and you can now start to put aside funds to get yourself set up to have your own business, and this means a pot of money that is going into the thousands. This is to cover expenses such as licensing courses, marketing and advertising, association fees, possible additional exam fees, as well as the little details, such as business cards. It is estimated that the average startup company fees range from $1500 to $2000, and not forgetting that the name of the game is earning by commission, so you will need to put enough money aside to make sure you keep yourself above water! The whole process of real estate is by building up a portfolio of clients and referrals, and this requires you to utilize your networking skills. The nature of real estate is being personable and sociable, so you need to keep these skills fine tuned by either communicating with your mentor from your course or brokerage or to watch, learn, and apply the skills. Finding a mentor in the real estate agency is a savvy approach to getting your first commission checks as you can split the commission between you both while you are still learning the ropes. Learning to keep your ear to the ground, whether by asking friends or families if there is anyone considering buying or selling a property is a great start to getting your foot on the property selling ladder. After all, there is always someone looking for a new home, so take advantage of each opportunity! Ultimately, becoming a real estate agent is very similar to starting a business of your own. And so, once you have acquired the skills from being in a brokerage and aligned yourself with a mentor, and then started to build a solid client base, this will set you on the path to being a real estate agent. And once the checks become sufficient enough, and you have the confidence to go it alone, you can then set up your own brokerage, hire staff and become a reputable brokerage. And then it is your turn to hire trainee real estate agents who are in the position you were, and the cycle can begin all over again for someone else. If you are considering becoming a real estate business owner in the US then let us know how you are finding it in the comments section?